An updated weather warning has been issued by the Met Office for today, tomorrow and now Thursday (June 14-16). The yellow ‘be prepared’ warning is in place up to around 9pm today. The warning is now in place for most of tomorrow and Thursday (around 10am to 10pm). The Met office says that “scattered heavy, thundery showers are expected to develop yet again on Wednesday, and will lead to slow-moving downpours across the warning area. 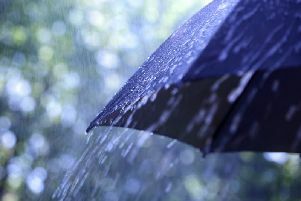 “As on preceding days, some locations will miss these downpours, but please be aware of possible localised flooding and disruption to travel where they do occur.